I was looking for a rucksack that was lighter than I had and also big enough to go on an over night trip but nothing too expensive. I'm also trying to lighten the load. 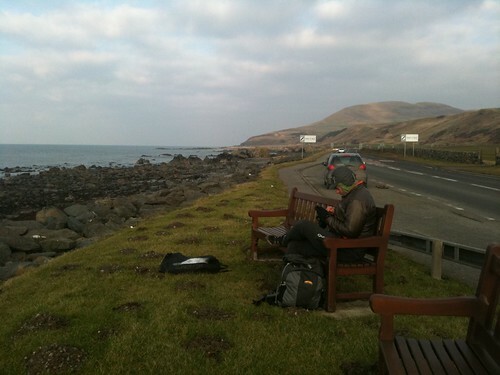 I have 2 backpacks; a small 12 litre pack which is fine for a short day walk, the other was a large 65+ litre rucksack with a carbon frame that I used for weekends in the wilds. With that I was carrying ridiculous amounts of stuff. Kit that I didn't need or use. Crazy. After much googling, perusing of websites and reading forums I found the Alpkit Gourdon 30 litre bag so I had one ordered. 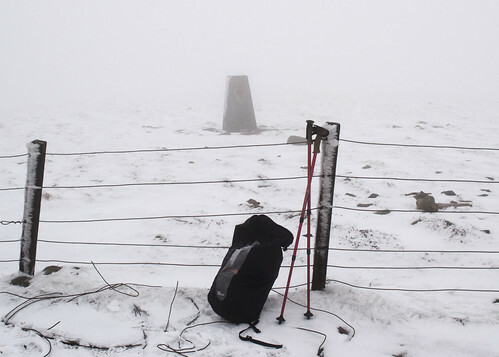 Why did I go for the Alpkit Gourdon 30 litre. You only have to read the specification list; roll top waterproof closure, taped waterproof seams, hydration pouch and removable padded back. It's made from hard wearing Taslan with a TPU coating to make it waterproof. It has a clear see through panel that lets you see exactly what's inside and where. It holds 30 litres. It even comes with iron on repair patches should you manage to put a hole in it. As well as coming in a range of colours. Best of all, all these features for only £25. Some of those you don't get on packs that are double the price Yep. A Bargain. I've had this rucksack/dry bag hybrid for a couple of months now. There is nothing fancy about it but I do love it's simplicity. It does the job and more. On my scales it weights just over 620g with the foam back pad in, it's a shade over 30cm wide and the 60cm in height stated on the website. 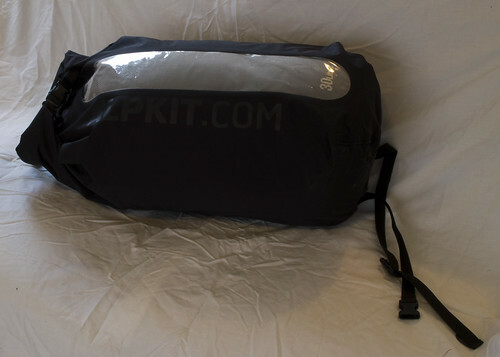 The water bladder is 45cm long and 20cm wide according to Alpkit. I never measured it but it comfortably takes my 2 litre water pouch. I find it easy to carry and the shoulder straps don't dig. I can't say that I've given it a good soaking but it's stood up to the rain without any issue. It has been and still is being flung about like a rag doll and has had no adverse reaction to this sort of treatment. Great to be using something so simple in design but well constructed. I have only one concession to make; I would love some bungee cord on this, like it's littlest brither so I had something to strap my walking poles to when I wasn't using them. Other than that I can't find a fault. Adding the cord would be the only change I'd make. The Gourdon is a very capable and functional piece of kit. Fast becoming my go to bag for everything. Going to work, out with the buggy, camera bag, walking and hiking or an over night trip. Like it says on the Alpkit website, "Gourdon is a strange little beast, ideal for all those strange little things we do." Almost perfect for me.